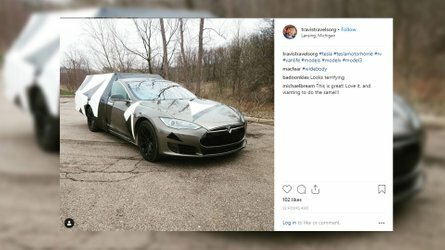 It looks like a sporty take on the new Blazer. 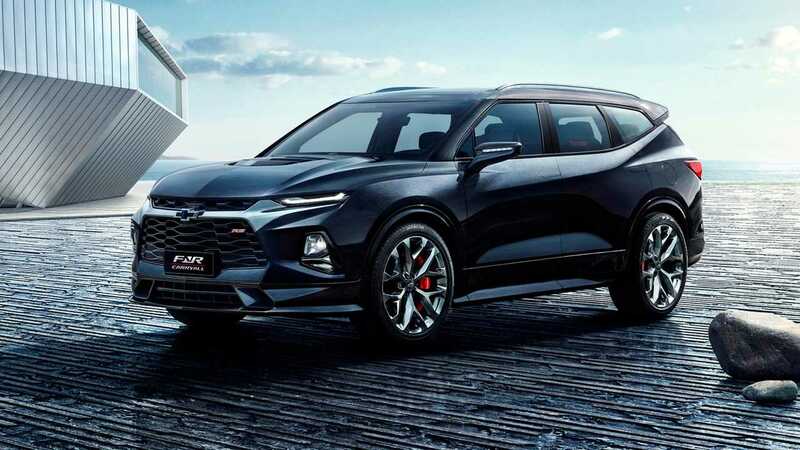 Chevrolet unveils its vision for the shape of the brand's future crossovers by debuting the FNR Carry All Concept at the Guangzhou International Automobile Exhibition in China. The name purposefully harkens back to the 1935 Chevy Suburban Carryall – the spiritual predecessor to the modern SUV. The FNR Carry All adapts styling cues from the current Camaro, especially the sharp-edged headlights and vented hood. The design of the grille mesh is similar to the Bowtie's famous muscle car, too, but it covers much more real estate here. Heavy creases in the side of the body create visually interesting details that the light can play off of. The concept also wears sporty touches like using a carbon fiber roof, and there are Brembo brake calipers with carbon-ceramic rotors. Other than the more aggressive touches like the hood vents and pointy mirrors, Chevy's new concept actually looks quite a bit like the upcoming Blazer. The share a very similar grille and upward sweeping rear pillar. Check out the comparison above to see if you agree. The Carry All measures 196.9 inches (5,000 millimeters) long and rides on a 112.9-inch (2,867-mm) wheelbase. There's seating for six people inside. A panoramic sunroof lets lots of light into the cabin. Chevy isn't yet releasing photos of the cabin, but the company reports that there's a 12-inch digital instrument cluster. A 10-inch touchscreen infotainment system sits at the top of center stack. Occupants in the back get their own touchscreen, and they have independent controls for the HVAC system. Chevy offers absolutely no details about the Carry All's powertrain or whether the company intends to display it outside of China. GUANGZHOU – On the eve of Auto Guangzhou 2018, Chevrolet hosted an event for media, dealers and customers for the global debut of the FNR-CarryAll concept SUV and Monza RS sedan, and unveiled the new Malibu XL, including its Redline variant. As a relatively young brand in China, Chevrolet is reaching more consumers every day. Over six million Chevrolets have been delivered in China since the brand’s launch by SAIC-GM in 2005. In the first 10 months of 2018, Chevrolet delivered 422,549 vehicles nationwide, achieving growth of 3.6 percent on an annual basis. Inspired by the legendary Camaro sports car, the FNR-CarryAll concept SUV offers a reinterpretation of Chevrolet’s lean muscular styling and features the brand’s new-generation SUV design language, which contains both contemporary and expressive elements. It is the third concept vehicle from the brand to receive the FNR designation. The FNR-CarryAll’s name was inspired by Chevrolet’s first SUV in 1935, the Suburban Carryall. 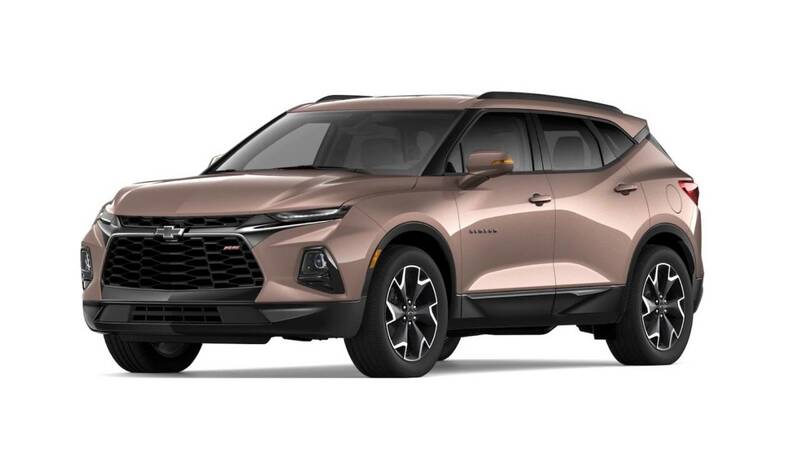 The concept SUV fully embodies the future development trend of Chevrolet SUVs, including their powerful capability, all-around comfort and advanced connectivity technology. The model has a length of 5,000 mm, width of 2,258 mm and height of 1,693 mm, along with a wheelbase of 2,867 mm. 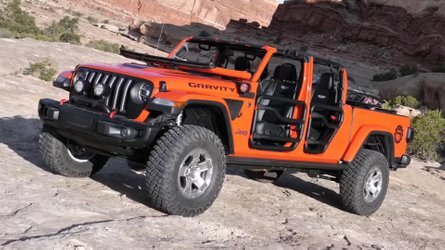 These dimensions support its independent six-seat layout and impressive carrying capacity. The FNR-CarryAll has a Pearl Black exterior with a bold front face and a boomerang D-pillar design. 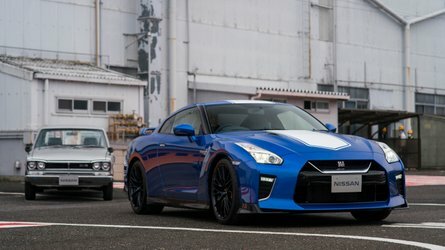 It also adopts a panoramic sunroof with an integrated parametric pattern, 22-inch aluminum alloy wheels, a sports car-inspired hood-mounted air extractor, red Brembo brake calipers, carbon ceramic rotors and a carbon fiber roof. The black interior has a 12-inch full LCD dashboard, along with a 10-inch touchscreen center console and a second-row smart touchscreen. It also comes with premium amenities that include cantilever-type two-tone black leather sports seats with red suede accents, heating and air-conditioning controls for rear passengers, red backlit accent lighting, Camaro-inspired circular vents with satin chrome and red accents, and illuminated sill plates on the doors and trunk opening. The Chevrolet Monza RS midsize sedan has a dynamic design that inherits the brand's sporty DNA and reflects the youthful aesthetic trend to cater to the preferences of younger car buyers. Its front face leverages Chevrolet’s classic double honeycomb grille design, with an innovative interpretation of the large opening and a prominent RS logo. Flying wing-style high-gloss black chrome trim runs through the front of the car, demonstrating a young and dynamic temperament. The muscle-like hood line common in Chevrolet high-performance cars adds to the multi-layered, three-dimensional styling. The Monza RS is equipped with three-dimensional LED light-conductor daytime running lights for the first time. Its double-stereo crystal light belt is complemented by fashionable and dynamic patterns and engraved lines, giving the sedan’s “eyes” a fully technical feel. The two-element taillights in the dynamic tail are reminiscent of the track. The most popular Chevrolet car model, the Malibu has now sold more than 11 million units worldwide since the nameplate first appeared in 1964. The Malibu XL Redline, Chevrolet’s new flagship upper-medium sedan, will be the fourth Redline model launched in China, following the Equinox Redline, Cruze Redline and Orlando Redline launched this year. 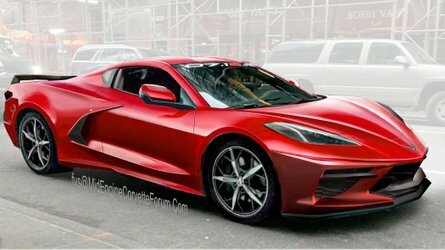 In the future, nearly all Chevrolet models in China will have Redline variants. The new Malibu XL and Malibu XL Redline have a 2.0T intelligent variable-cylinder turbocharged engine mated to a nine-speed Hydra-Matic® transmission. GM’s latest powertrain combination churns out maximum output of 177 kW and peak torque of 350 Nm, with fuel consumption as low as 6.7 liters/100 km. Based on GM’s latest technological achievements and global platform for upper-medium vehicles, the new Malibu XL Redline adopts Chevrolet’s new-generation design language together with the exclusive black and dazzling red design elements of the Redline series. This gives it a youthful and sporty temperament. The exterior incorporates the brand’s lean muscular styling, with a sleek coupe stance, undulating body lines, and a flowing light and shadow profile. The carefully crafted front face has a dynamic and sharp visual effect, with an imaginative double grille design. It is complemented by new LED taillights. The Malibu XL Redline has Chevrolet’s classic flying wing-shaped dual cockpit. As a member of the Redline series, it comes with a black sports interior with red stitching. The new Malibu XL and Malibu XL Redline are equipped with Chevrolet’s new MyLink infotainment system and a standard 8-inch HD touchscreen. They also come with OnStar, with 24G of free internet use annually, and support free online over-the-air upgrades, Baidu CarLife, Apple CarPlay and smartphone connectivity. Fresh off its global debut at the 2018 China International Import Expo (CIIE) last week in Shanghai, the Corvette C7.R Redline highlights GM’s technology transfer from the track to the street. Learnings from racing programs in aerodynamics, weight distribution, durability, lightweighting and thermal management have been routinely carried over to Chevrolet passenger vehicles. The C7.R Redline has a 5.5L naturally aspirated V-8 engine that generates maximum output of 492 hp, aggressive acceleration and rear-end power. Six-piston single-fixed calipers and ultra-high-temperature ceramic composite pads are paired with customized Michelin racing tires to provide powerful braking capability. The racing car’s body has a high-strength hydroformed aluminum frame with a lightweight aerodynamic package made of carbon fiber to further enhance track performance. The Corvette C7.R Redline features Chevrolet’s classic track design language. Its silver body with red and black design elements has a strong racing form. The red front bumper, black wheel hubs with sleek red logos, and dazzling red lines running the length of the vehicle are sporty and trendy. The black tail featuring the Redline logo is the crowning touch, showing the passion of the track, and the youthful and sporty image of the racing car. A special Redline-liveried Corvette C7.R will compete in the Six Hours of Shanghai FIA World Endurance Championship (WEC) race this weekend in Shanghai. The FNR-CarryAll concept SUV will be displayed along with the Chevrolet Redline series, including the Corvette C7.R, Cruze, Equinox, new Malibu XL, Orlando and Traverse, at Auto Guangzhou 2018, which begins tomorrow.